Gritting her teeth the woman felt herself leaping over the battlements and rushing straight towards the largest throng of enemy forces. The wind swept over her, tearing away the elegant bun it had been set within. Lights from raging fires blazed across her form as still wet blood flashed bright, and her sword seemed to have an almost near ethereal glow of gold and blue hugging it's edge. Her voice tore across the battlefield as she rushed forward as if carried by the wails of spirits freshly born of this brutal battle. She kept moving even with every sword that slashed, hammer that fell, spear which pierced, and arrow that punctured. Nothing seemed to stick as this woman unlike any had ever seen kept up her pace, her own blade tearing through armor and flesh as if cutting though a bamboo forest. There was nary a scar on her pristine, almost porcelain face. Her armor seemed to have absorbed every blow that got past her own reflexes, soaked to the brim with blood that was not her own. To them she was a terrifying sight, a demonic spirit given human form. To what hope would they have against such a force beyond nature, beyond what mere mortal men and their blades of iron and steel when in her hand sung a blade forged of sunlight? To those that looked upon her and saw their deaths, the answer was all the more clear. Against this woman, the only hope they had left was to run. Okay. So... I'm using a few of her abilities, such as her Everlasting Nature along with the swords supreme Cutting Edge to form this image of this unrelenting force of rage. As she's actively going out there being as scary as she possibly can be, I'm going for a straight up intimidation to help demoralize the enemy troops. Well... Not as grand as a roll as I would like, but with the +5 inspire I included, hopefully it amounts to something. Kuro's unblinking eyes watched as Dai Jin stormed into the midst of the invaders. The yokai had to admit she was impressive, all shining blade and hair whipping in the wind as she cut down foe after foe. He himself preferred to act in a less overt manner. Kuro flowed like mist through the fighting in the streets, coalescing only long enough to quietly cut down enemy leaders trying to rally their men in the face of the swordswoman cutting them like a blade through reeds. With the inspiring portend of Soyokaze, Dai Jin and Kuroi are able to demoralize the Imagawa soldiers. Their eyes scream fear and their legs shake and tremble. Yahata for his part, throws up his spear, which turns into the white dove Jingu in mid air, soaring up. It looks about the battlefield ad then comes down to pass the information to his master, who seems thoughtful for a while. He then approaches the Tiger and after a few minutes of talking, they both set to organize the troops to take advantage of the flow of battle. The fervent activity of the siege is interrupted by the watchman, a middle age man sitting atop the tallest spire of Owari castle. Even though no one can hear him, his frantic hand weaving soon caught the attention of both Yahata and Oda Nobuhide. With Jingu always ready, the godlin sent the bird over and back. As the bird told him what the watchman had seen, Yahata exploded in laughter. "We have already won my friends, the reinforcements are here! All according to my superior tactical sense." And indeed, in the darkness of the night, you can all make out lights in the horizon, like an army of fireflies. The watchman, from his vantage point and armed with his spyglass could tell it was Saito Dozan's banner. You can already tell chaos has erupted among the forces of Imagawa, as they are aware of the approach of Owari's reinforcements. Enemy army attacks, 11. Owar avoids damage this round! Saito Dozan will arrive next round!! A cold laugh echoed from Kuro as he heard the news and saw the effect it had on the enemy forces. The unsettling sound chilled the blood of both enemy and ally alike as the the yokai set about his grim task. Now was the time to strike, while they were in disarray, to catch them between the hammer and anvil of the way. Fast, deadly and relentless, Kuro cut down any enemy who showed any sign of hesitation, furthering the panic spreading among them. Soyokaze knew he had only this last chance to find as much peace as this situation could muster. The old man toddled to the highest part he could reach. He called upon his connection to the winds to bear his words throughout the city that every soldier, every person, could receive his imploring words. "Warriors attacking this city, your day has been fraught with pain and blood and betrayal. This conflict is nearing its end and not in your favor. Please, lay down your arms, cast away your weapons, surrender that you may see your families again. Warriors defending this city, peacefully accept the surrender of the soldiers who have been put in an impossible situation by the conflict of duty & honor vs. the selfish desires of an uncaring leader. Let any who are done shedding blood in this battle leave to return to their homes, as you would fervently wish the same in their place. Only in Life is there the chance for Change and only in Change is there the chance for Balance and Harmony in the world. Soldiers, take that Chance. Please." Ruthless as she may have been in battle, as a samurai of honor she couldn't deny the words of surrender offered up by Soyakaze. Indeed, inspired by the old man Jin herself spoke aloud to the crowded masses around her, solidifying even further the inevitability of their loss. If they were to stay their swords now they would not be seen as anything less then a warrior who knew when their time had come to an end. Well, would you lookit that...? The words of Soyokaze and Dai Jin are like needles in the hand of an expert acupuncturist. They are precise and paralyzing. Right in the spot. With the charging army in their backs, and facing a stalwart and fierce defending garrison, the words of both virtues are more effective than a thousand swords. Several soldiers drop thier weapons, and drop in surrender, others simply turn and run to an honour-less life. Kuroi efforts, however, seem to have no effect on the large of the invading army. Demoralized as they were, the forces of Imagawa are unable to form into an attack force, and their attack on the walls fails miserably. 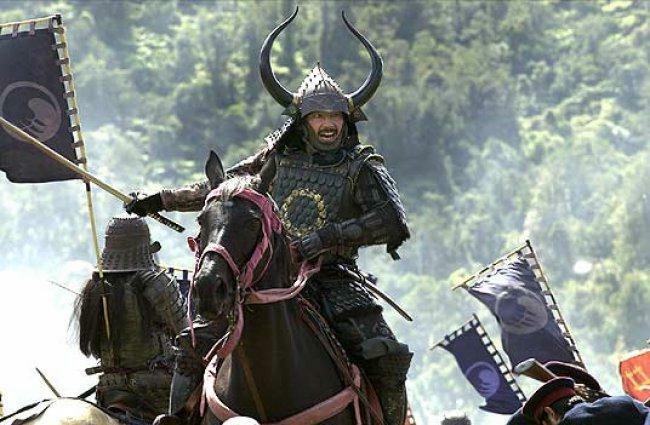 It is then that Yahata and the Tiger order the samurai to charge forth! The walls open and the proud sons of Owari pour out, brandishing steel. They charge forward, and clash with the forces of Imagawa. From behind, Saito Dozan's army charges the forces stationed at the siege camp. Trying to regroup, at the screams and shouts of their Daymio, the invading clan can muster enough organization to avoid being caught in the hammer and anvil tactics, emerging no worse to wear. Enemy army attacks, 16. Owar avoids damage this round! The time had come, the hour was right. Soyokaze was in his chambers in meditation when a gust of wind, no doubt an errant spirit of air attracted by all the commotion in the city, knocked over the diviner's i-ching bag, scattering the sticks. Uncharacteristically disturbed by the noise Soyokaze's eyes were drawn to the portent pattern of the rods. He nodded, sadly. He would tell the others. Death and Finality were imminent, and the Virtues were the Pall Bearers for such. Less than an hour later Soyokaze was astride a horse with the others, his old frame laden by his implements of healing and protection. They rode in the direction reported by the observers of Imagawa's retreat. The man would no doubt have his elite guards with him even though his army was well-routed; this would not be easy. The woman's mouth was set in a thin line as she pulled the reigns of her horse, eyes straight ahead and at focus. The battle had been raging for what may as well have been days, yet even still her spirit and resolve kept the weariness away. She followed the Tiger's will just as much as she did her absent lord, and as she had for him over the course of this fight she had come to sense what he needed and when. Now, at the battle's peak, it's very height, she knew exactly where he wished her to be. The gates were busted open, yet no men were pouring through. The charge of her alongside her companions was to go unimpeded as they made haste to the heart of Imagawa's army itself. Far too many have bled. Sons lost, daughters without fathers, and sisters- Her mouth suddenly felt dry. The blade sung in her hand, not of a desire of the blood of a lord, but for the chance to put this battle to rest once and for all. A bone-chilling unearthly howl tore itself from Kuro's throat as he bounded forward past his companions. The battle had reached it's peak, this was what everything had been building towards. Now, they would face Imagawa in battle and settle things once and for all. You charge forward, three birds flying to confront the rising evil. Awaiting you is battle, fierce, dirty, honorless, merciless battle. Imagawas forces are mainly busy fending off Dozans army, leaving the main camp virtually undefended. But that doesnt mean it will be easy. To meet you, a well equipped band of 5 men sail forth. 5 Hatamoto samurai, the royal guards of the clan leaders. Behind them, covering his already masked face with an Iron fan, is Imagawa, the root of all this conflict. His ambition must be put to an end, not only for the sake of you lords clan, but also for all of Japans. Your horses close the distance quickly, and you prepare for a cavalry charge, when a trap sprouts from the ground! Wooden spikes are lifted by sliding ropes, and your horses cant but collide with them, catapulting you to the ground! OOC> Imagawa acts first, using his Clever trap power. This time it is a an area effect, dodge 16. If you fail the dodge save you are prone and take DC 21 damage. If you succeed you take DC 18 damage and are standing. Horses are lost. Hatamoto samurai are not minions, and are 30 ft away from you. Imagawa is 15 ft behind his men. It is the PCs turn.